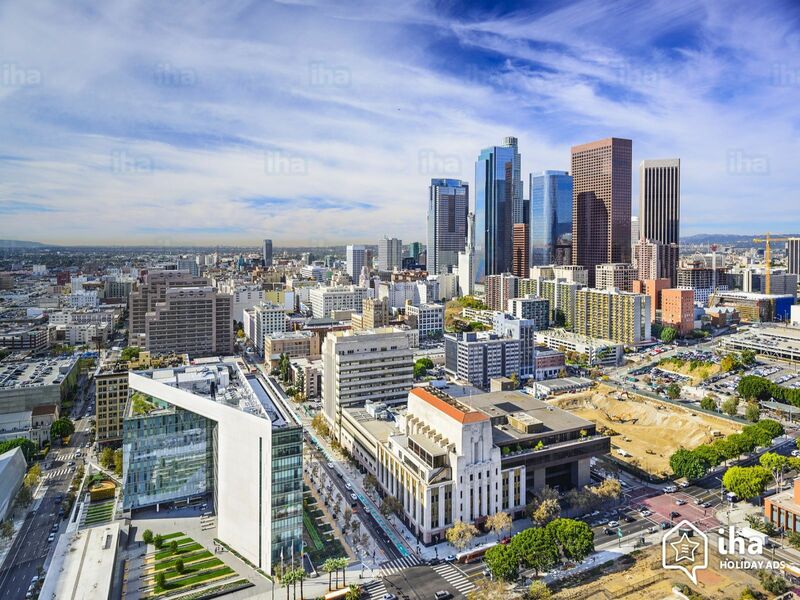 Los Angeles is a city of almost 4 million people and is the financial and cultural hub of Southern California. LA is home to a number of universities, as well as businesses of all types. Electricity and water services are provided by the Los Angeles Department of Water and Power (LADWP), the largest municipal water and power utility in the nation. LADWP currently covers a service are of almost 500 square miles and provides services to 681,000 water accounts and 1.4 million electric accounts. LADWP operates as a revenue-producing proprietary department, although some portion of this revenue is transferred to the City of Los Angeles’s General Fund each year. LADWP treats over 600,000 scr-ft of water each your for residential and industrial use. After the severe drought of the last decade, the City of Los Angeles imposed significant restrictions and conservation programs. From 2009 to 2010 the city say a 19% decrease in water use from the previous years. Droughts also fueled Los Angeles to make investments in recycled water and stormwater capture. Moreover, environmental concerns over Mono Lake and excessive ocean pollution has also spurred the city to make investments in ecosystem health. As such, LA is now a leading cities in developing sustainable water management strategies. Los Angeles has four main water sources: the Owens River via the Los Angeles Aqueduct (29%), Northern California (48%), the Colorado River (9%), and groundwater (12%). A small portion of LA’s water supply (2%) is comprised of recycled water. In addition to these sources, the supply system is made up of many reservoirs and the Mono Lake Basin, which continues to be controversial. The biggest source of potable water is Northern California, although a considerable amount of water is also diverted from the Colorado River to meet the needs of LA’s population. Due to its large population and variable water supplies, LA has a long history of promoting conservation including rebate programs, education, plumbing codes, and graywater use. The Sanitation Districts of Los Angeles County (SDLAC) are responsible for wastewater treatment, which includes operating one of the largest engineered wastewater recycling programs in the world. LADWP has included lofty goals of water recycling in their Urban Water Management Plan. This plan is a blueprint for developing and maintaining reliable water sources with the specific goal of increasing annual recycled water use to 59,000 acre-feet by 2035. SDLAC consists of 24 independent special districts that proved the wastewater and solid waste management service to Los Angeles and the surrounding area. The sewer system owned by SDLAC is comprised of roughly 1,400 miles of pipe which transports 500 million gallons of wastewater a day, however the entire system in Los Angeles County contains nearly 17,000 miles of publically and privately owned sewer pipes. The county wastewater system is also comprised of almost a dozen water reclamation plants, including La Canada, Long Beach, Los Coyotes, Pomona, San Jose Creek, Whittier Narrows, Saugus, Valencia, Lancaster, and Palmdale. In 2009, the California Building Standards Commission approved graywater regulations which revised standards (California Plumbing code, Title 24, Part 5, Chapter 16A, Part I) for construction, installation, and alteration of graywater systems for indoor and outdoor use. These regulations cover 4 types of systems: clothes washer, simple, complex, and treated. Although such regulations allow for non-potable water systems in residential buildings, adoption of these technologies has been slow. Los Angeles’ Stormwater Program is responsible for both flood control and pollution abatement across the region. To accomplish its goals the program utilizes education, engineering, enforcement and evaluation strategies. The program is funded through the Stormwater Pollution Abatement Charge, which is an annual assessment property owners pay within the city. The program generates approximately $28 million a year which funds flood control projects, system maintenance and upgrades, and pollution abatement projects. Surface water accounts for approximately 90% of the freshwater supply to Los Angeles. The majority of this water is transported to the city via pipes and aqueducts from Northern California and the Mono Lake Basin. Although a smaller part of their water portfolio, the Colorado River is also a significant source of drinking water for Los Angeles. Roughly 10% of LA’s drinking water comes from groundwater sources. In 2014, the California Legislature passed the Sustainable Groundwater Management Act (SGMA) which requires local agencies to sustainably manage their groundwater resources. In the case of LA, the Santa Monica Basin has been classified as a medium-priority region, and the LADWP and other agencies are still developing a Groundwater Sustainability Plan for the area.